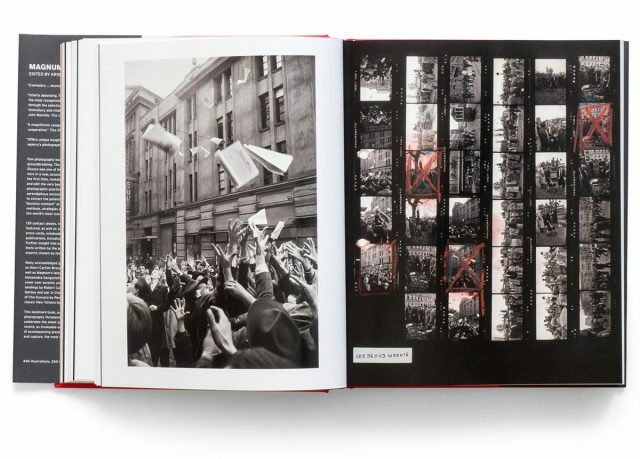 Magnum Contact Sheets is the one book that every street photographer should own and now you can get a signed copy of the 2nd edition at the Magnum Store. 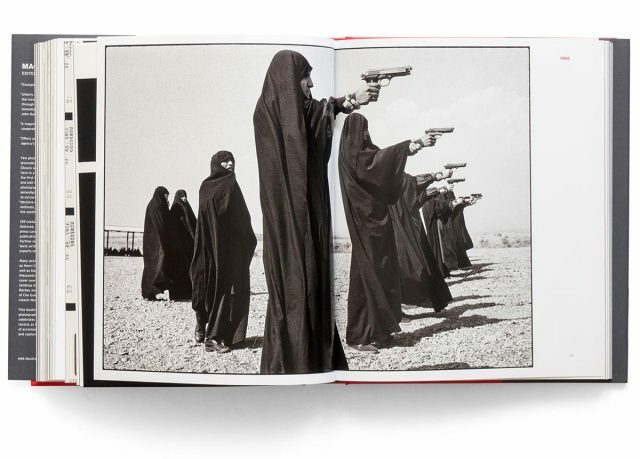 The new edition is physically smaller than the original and is signed by 12 Magnum photographers but the $210 price tag might scare some people off. Hit the jump for more info! Back in the days of film, photographers would print entire rolls of film in contact with single sheet of paper to examine their work and choose their best images. 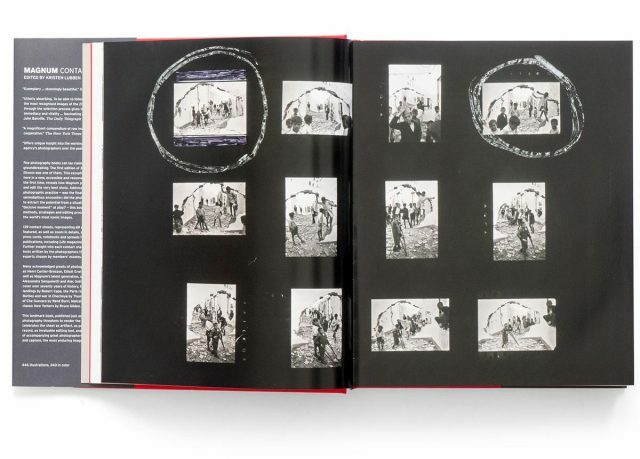 These contact prints were invaluable tools at the time but now provide valuable insight into the photographic process that created of some of the world’s most iconic images. The original version of the book was huge and didn’t fit in most book cases so the 2nd edition is more compact and adds a few extra pages to account for the changes in layout required by the smaller size. 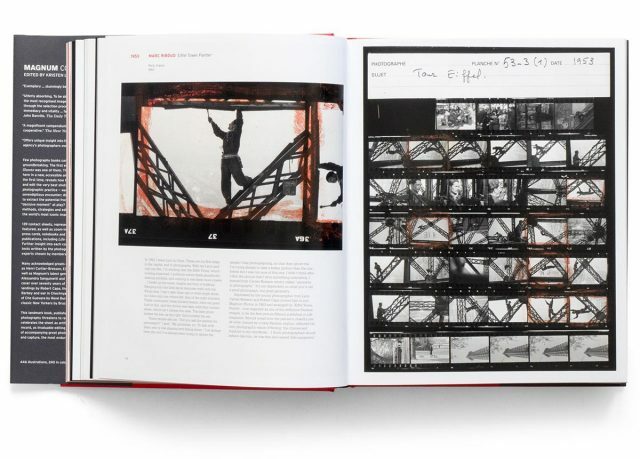 It still contains 139 contact sheets from 69 Magnum photographers as well as zoomed-in details, selected photographs, press cards and text written by the photographers themselves. 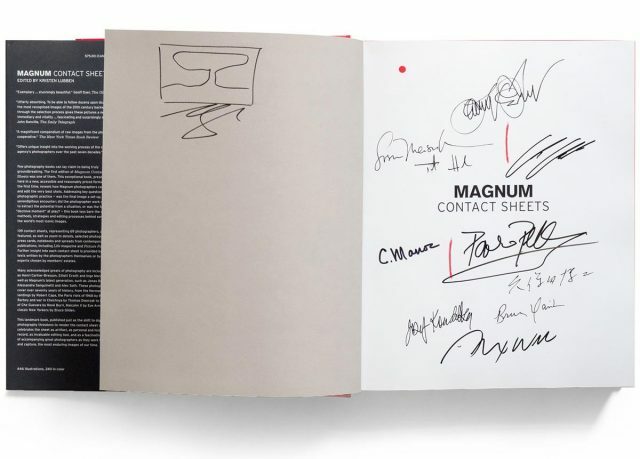 Magnum Contact Sheets (signed) at the Magnum Store. 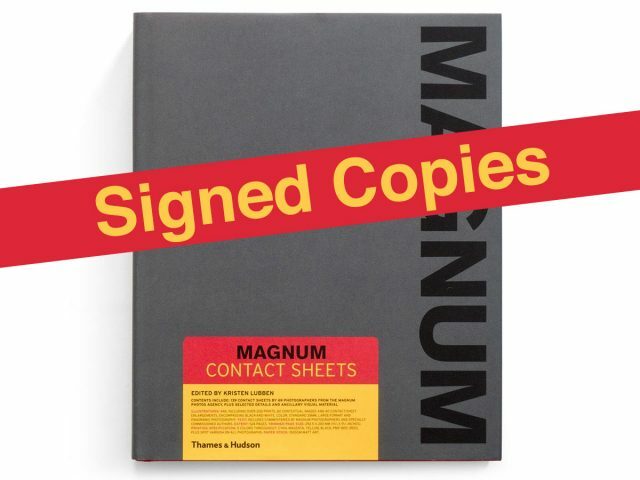 Magnum Contact Sheets on Amazon. If you just want access to the information that this book contains then grab an unsigned copy on Amazon. And if you don’t already have it then you should probably go right now and order it. It’s really that good. But if you’re buying this signed copy you’re probably going to seal it in a book bag and store it away as a collectible. 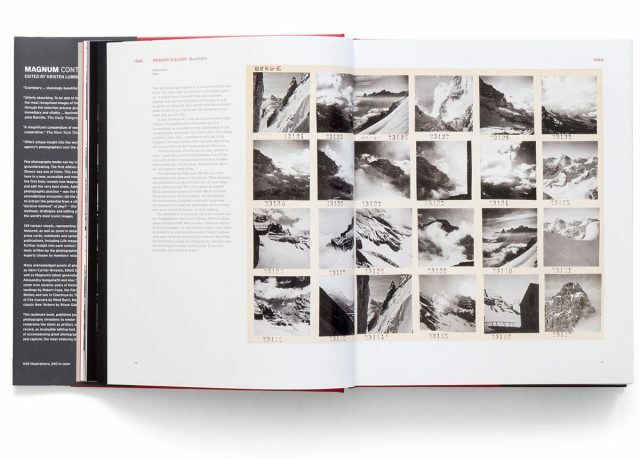 Photography books (especially signed copies) tend to go up in value in the long term so you’ll probably do alright with this one. 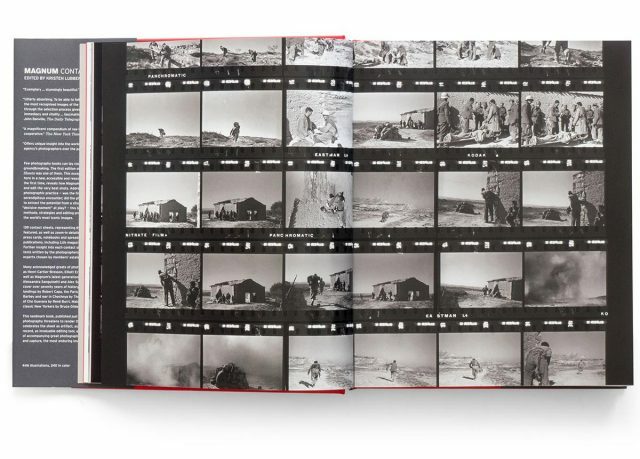 But then again it might be cool to be reading through a book like this knowing it was signed by your favorite Magnum photographer. Heck, just get two!